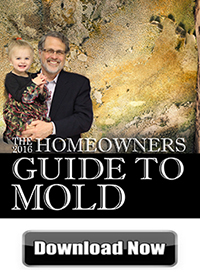 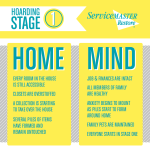 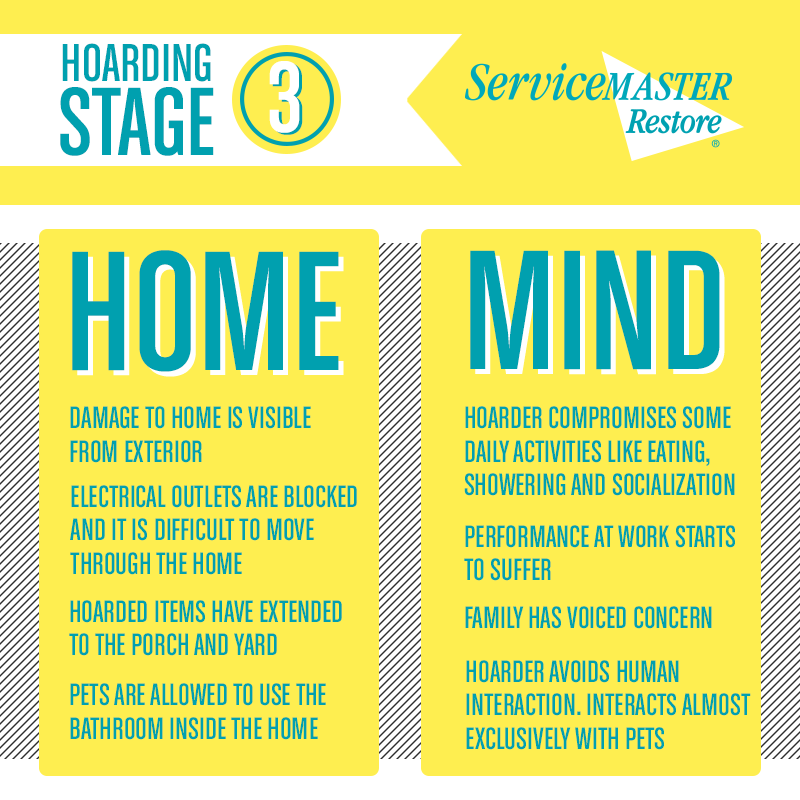 By stage three of hoarding, the problem gets more serious as family and friends start to voice concerns. 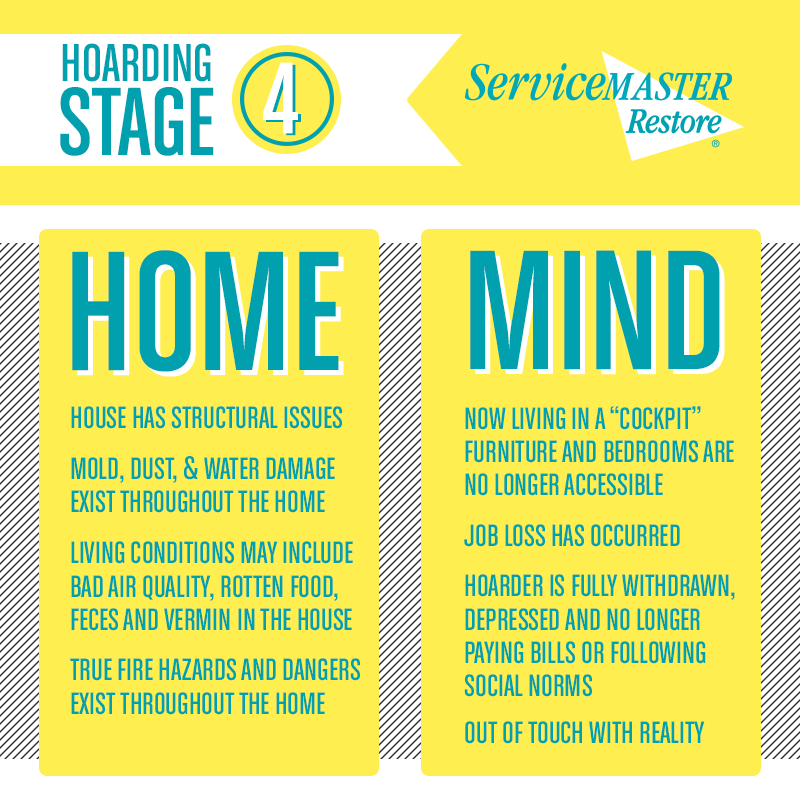 Stage Five is the final stage of hoarding as symptoms have reached their peak. 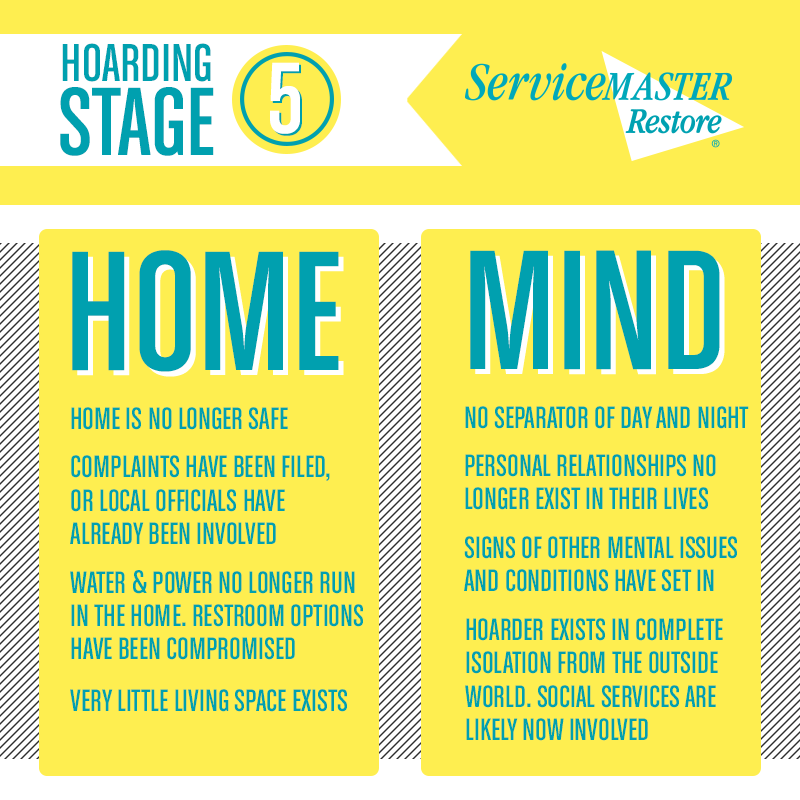 For professional hoarding cleanup services call ServiceMaster NCR at (703) 212-7000!